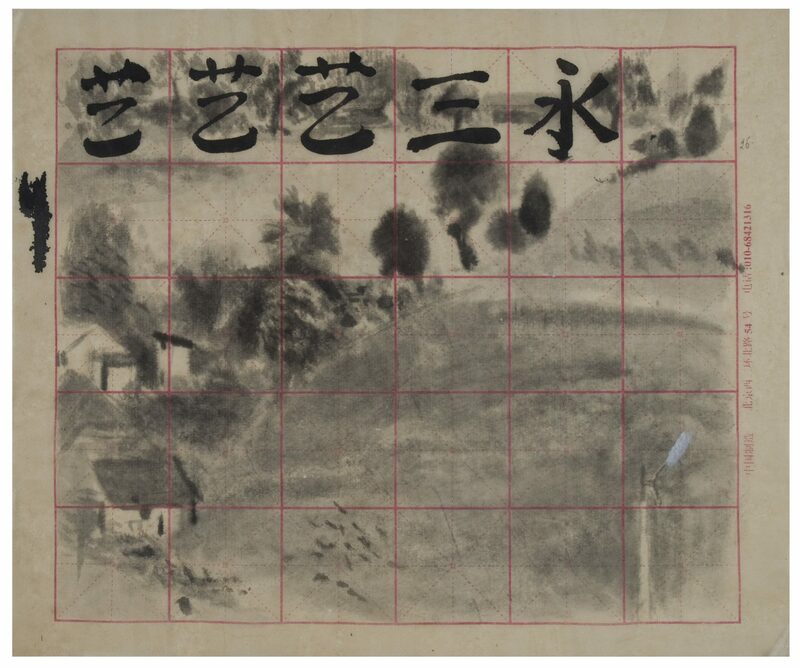 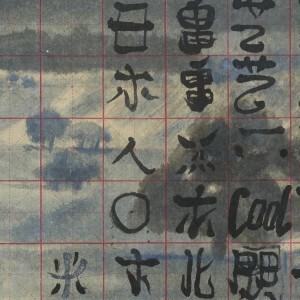 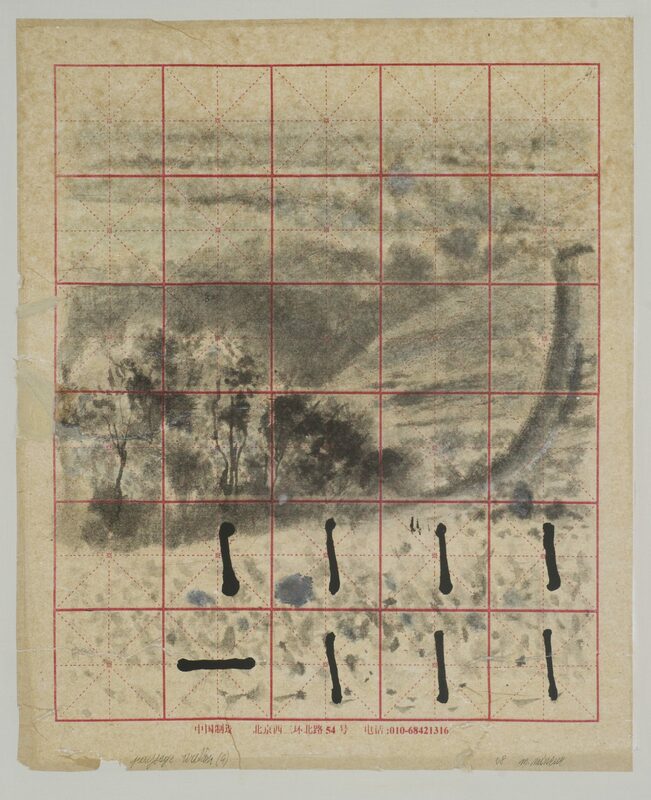 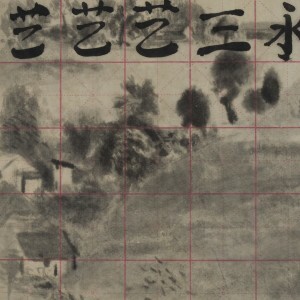 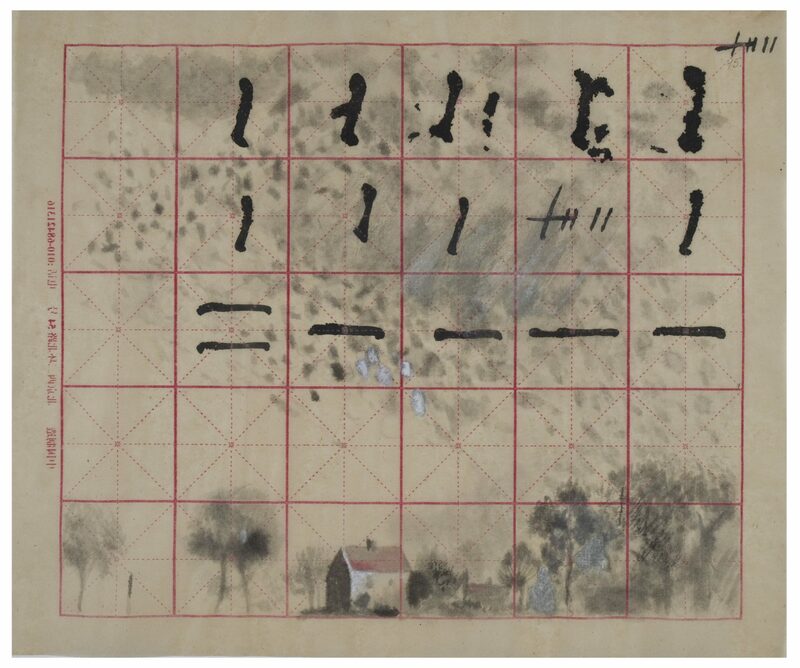 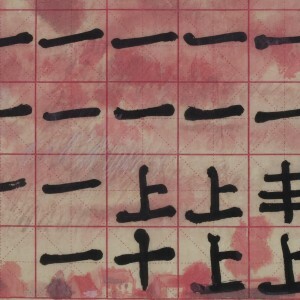 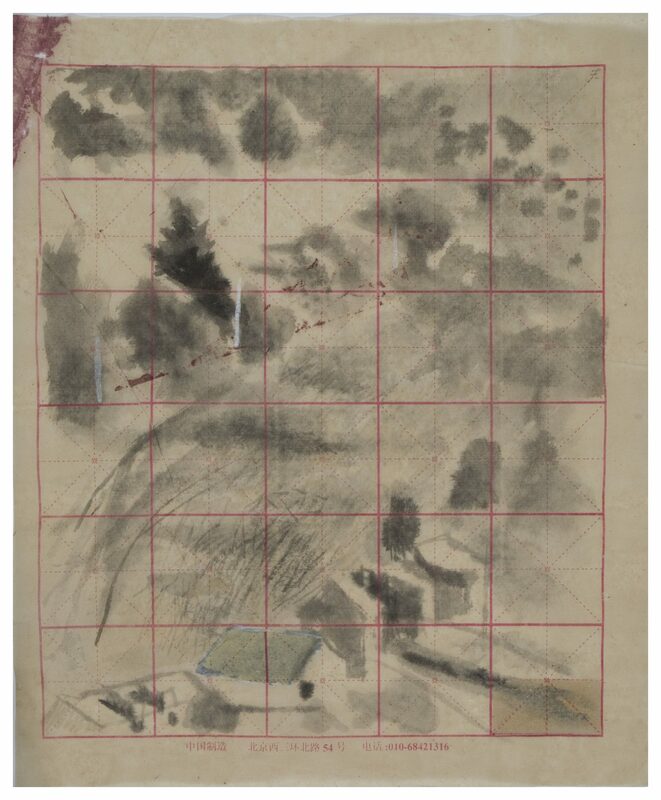 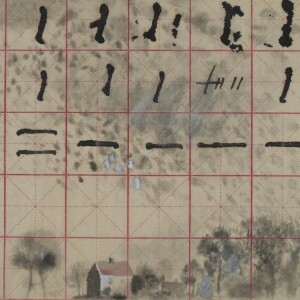 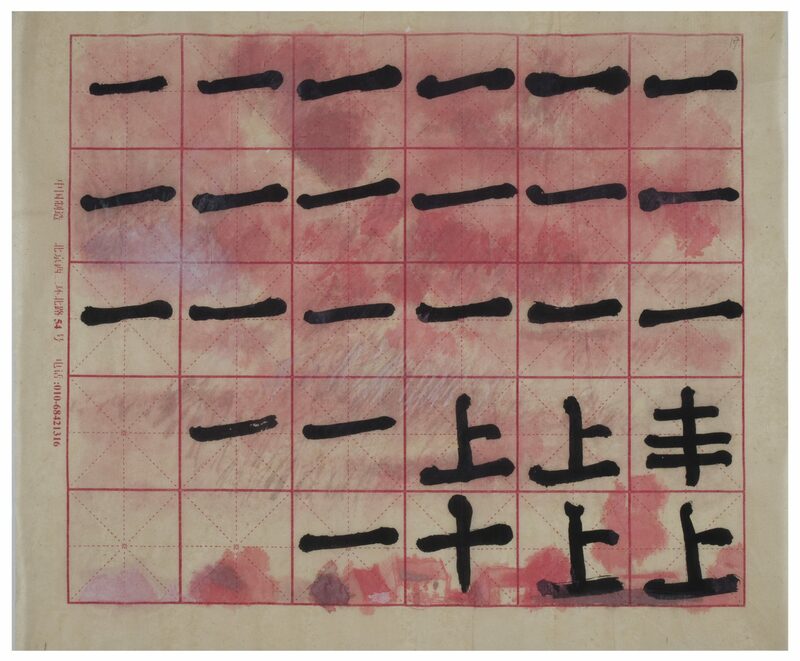 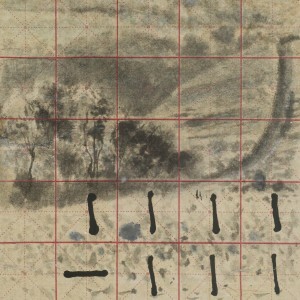 The background: a light Chinese paper, thinner than cigarette paper with its surface covered in red squares, themselves streaked with diagonals. 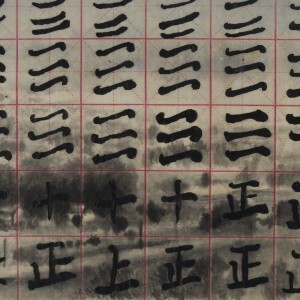 There is a similarity to old draft school notebooks. 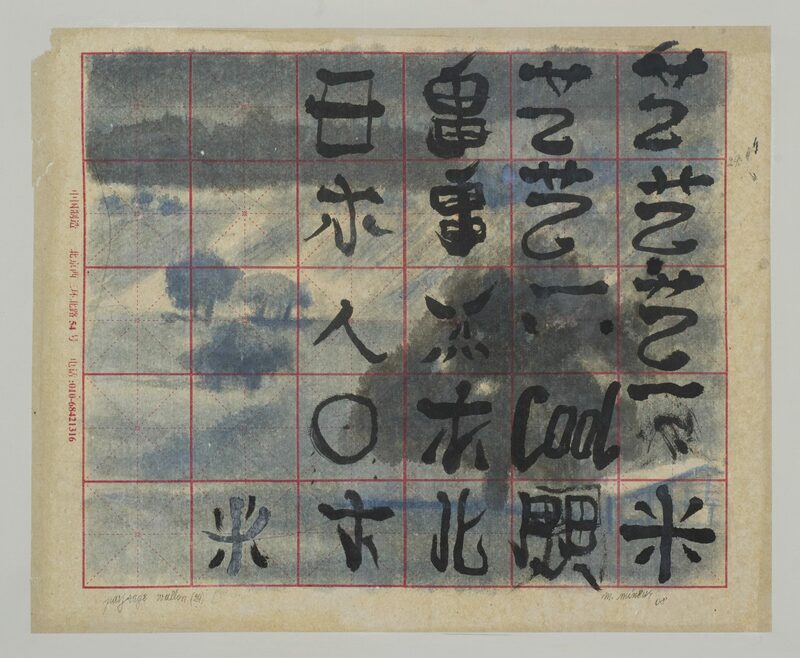 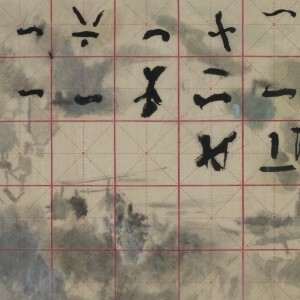 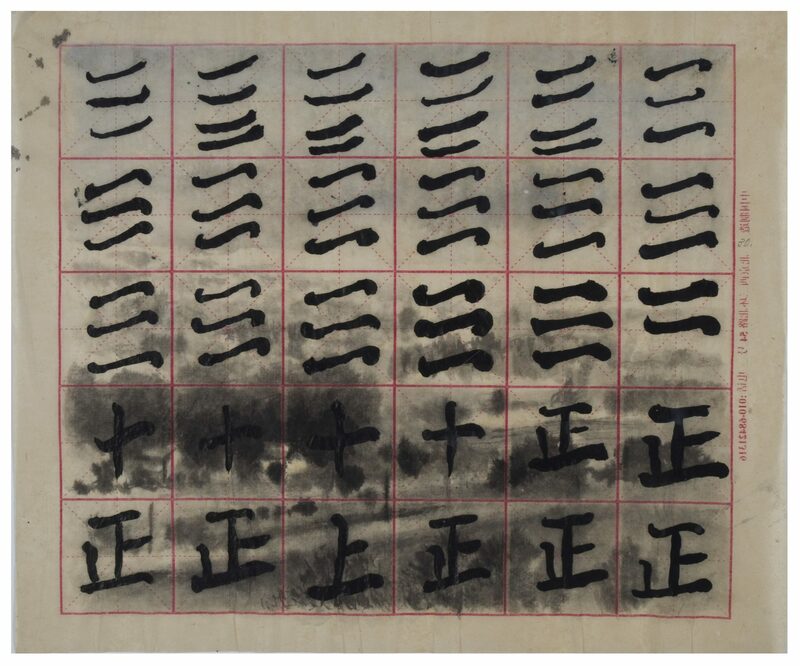 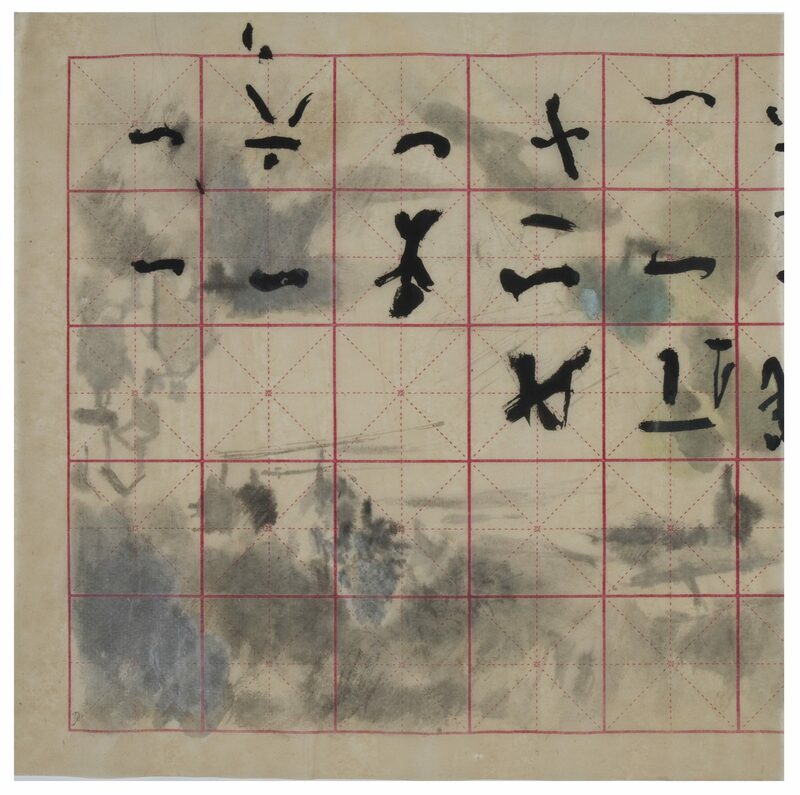 I inherited a series of these sheets covered with thick black signs – hesitant and clumsy attempts at Chinese writing. 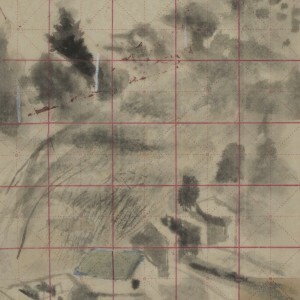 I have drawn contrasts, with very diluted ink: bits of Walloon landscapes, fluid fragments of my daily environment.